A study suggests that an early warning sign of the risk for autism may be abnormally fast growth in the size of an infant's head, a finding that could help doctors better diagnose the brain disorder. Researchers say that if the findings are verified in further studies, then head growth could be used along with other behavioral and biological clues to possibly make earlier evaluations of autism in children. "If we understood what was making this change we would understand what makes autism a unique disorder," said the study's lead author, Eric Courchesne, director of the Center for Autism Research at Children's Hospital Research Center in San Diego and a professor at the University of California, San Diego. The small study by researchers from the university and the autism center was published in Wednesday's Journal of the American Medical Association. Autism is a neurological disorder that effects the development of the brain in the areas of social interaction and communication skills. The exact prevalence of autism isn't known but as recently as a decade ago it was estimated that only about 4 per 10,000 children were affected. Research now suggests the rate may be at least 10 times higher. The researchers say abnormal growth in head size, and therefore the brain, during the first year of life may mean that an infant's brain is making jumbled connections that lead to the impaired functioning of autism. Rapid head growth can be brought on by other medical problems, although it also can occur in otherwise normally developing babies. Pediatricians typically track head growth. The California researchers found that children later diagnosed with autism spectrum disorder, which includes mild to severe forms of autism, had bigger heads than 84 percent of other healthy infants. Their heads grew more quickly in the first year of life, and brain growth later slowed. Those children later diagnosed with the most severe autism showed the greatest increase in early rapid head growth compared to those children with milder forms of the disorder. The increase was significant considering that children with mild to severe forms of autism tended to have smaller heads at birth than about 75 percent of other newborns, according to the study. Researchers analyzed the medical records of 48 children between the ages of 2 and 5, who had been diagnosed with autism spectrum disorder and taken part in previous MRI studies. Twenty-two of the children had multiple head measurements during their first year of life and were the ones most closely studied by researchers. The study's comparisons to normal children were made using national databases. It is premature to conclude that increased rate of head growth is a universal feature of autism, said pediatrician Dr. Janet Lainhart, an associate professor of psychiatry at the University of Utah who wrote an editorial about the study for JAMA. 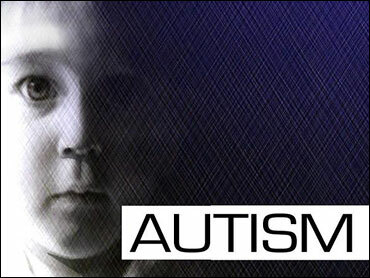 She said the results need to be confirmed in studies with a larger number of people with autism. But the "findings support the combined results of other research that point to increased rates of head and brain growth in early childhood in autism," she said in an interview.